Fast food giants have a knack for coming up with dishes that pull at our palettes. Whether its the ingenious Doritos Locos taco from Taco Bell, the familiar bucket of fried chicken from KFC, or a carton of perfectly crisp McDonald's fries, there is a food that speaks to our weakness. While acceptable on occasion, eating fast food every night is not good for our health and wallets. By cooking copycat recipes at home, you have the best of both worlds. You can enjoy these fast food favorites at home while also being conscience of your calorie intake. If you feel like eating the deluxe version of the copycat crispy chicken sandwich from Chick-fil A, simply add lettuce, tomato and a slice of pepper jack cheese. Cream cheese wontons are a quick and easy appetizer. This Asian inspired hors d'oeuvre is a crowd pleaser because its creamy, cheesy and crunchy. Serve with sweet chili sauce for dipping. A mountain of roast beef is tucked into an onion bun and smothered in cheese sauce just like the classic Arby's sandwich. This version is made in a crock pot so it's ready to eat whenever you are. These bite sized burgers are a meal that the whole family can get behind. This recipe is so easy that you can prepare two, ten or twenty without breaking a sweat. Leftovers make for a tasty lunch the next day. When Taco Bell created the Doritos Locos tacos, they knew they had struck gold. 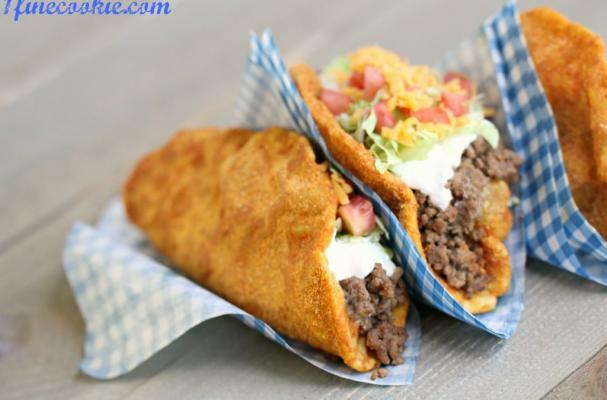 Coating taco shells in seasonings other than salt took this fast food favorite to the next level. This homemade version avoids the drive thru and is truly a fun meal to prepare at home.